Last night, the 84th annual Academy Award’s awarded most of the projected favorites with beautiful golden Oscars. Billy Crystal’s jokes were safe, the Cirque Du Soleil’s performance was mind blowing and most of the acceptance speeches were genuine and lovely. However, we would like to shine some light on the night’s “close seconds”. We all figured that The Artist was going to win Best Picture and Jean Dujardin would prevail against George Clooney and Brad Pitt, but what about the runner ups? Here is what we think about the Oscars close seconds. The Artist grabbed the Academy’s attention with its unique art style. You don’t see many black and white movies anymore, especially silent black and white films. Unsurprisingly, The Artist took home the Oscar. 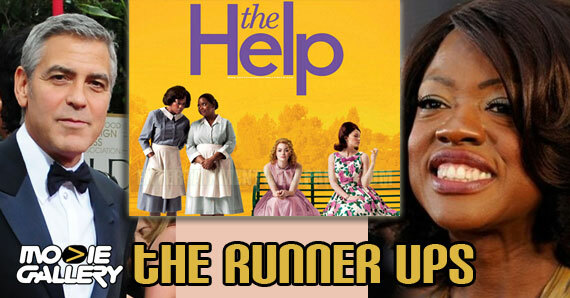 The Help captivated its audience with Octavia Spencer’s outstanding performance and Viola Davis’ character’s fire-y personality. The days of segregation were not long ago, and it’s great to see how far our country has come. The movie awakens feelings of passion and conviction while watching; Not many movies can produce these feelings. 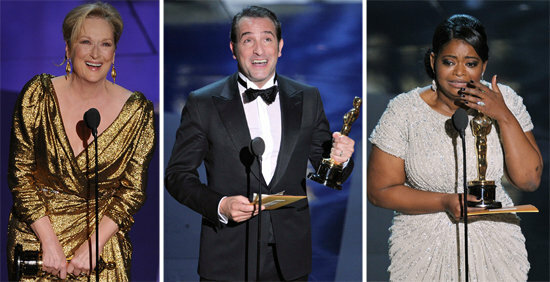 It’s no surprise that Jean Dujardin took home the Osacr for his work in The Artist. His performance was so outstanding that many times I forgot the film was silent. We agree that Dujardin deserved to win, however, that doesn’t make the other nominees undeserving. 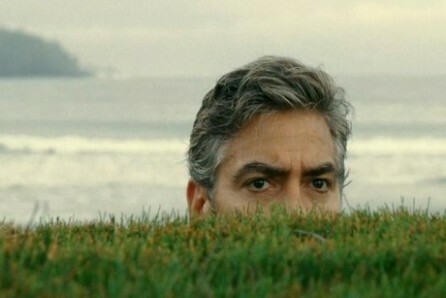 George Clooney riveted the audience in The Descendants. He convincingly portrayed his character, Matt King, and made the audience feel sympathetic for his situation. Clooney took a straight forward story and added to it depth and compassion. Lastly, based on his performance, you can tell he poured his heart and soul into his character. We are thrilled that Meryl Streep got to take home her 3rd Oscar on the night she made history as most nominated actor ever in the Academy Awards! What an honor! All of the nominees were thrilled to be nominated in the same category as the legendary Meryl Streep. 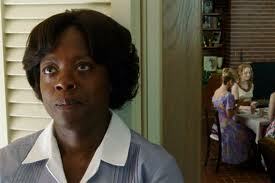 Her powerful performance in The Help commanded Hollywood’s attention, making the movie Oscar worthy. She portrayed what it was like living in the days of segregation so perfectly. Davis’ made the audience feel devastated, thrilled and touched throughout the whole movie. Overall, we are thrilled with last night’s outcome! With so many worthy nominees, it’s hard and nearly impossible to get the winners wrong. Here’s to a successful Academy Award’s ceremony, and to another year filled with amazing cinema. This entry was posted in Oscars, The MG Blog and tagged Academy Awards, Awards, Film, george clooney, Jean Dujardin, Meryl Streep, Movies, Oscars, The Artist, the descendants, viola davis by arianned. Bookmark the permalink.